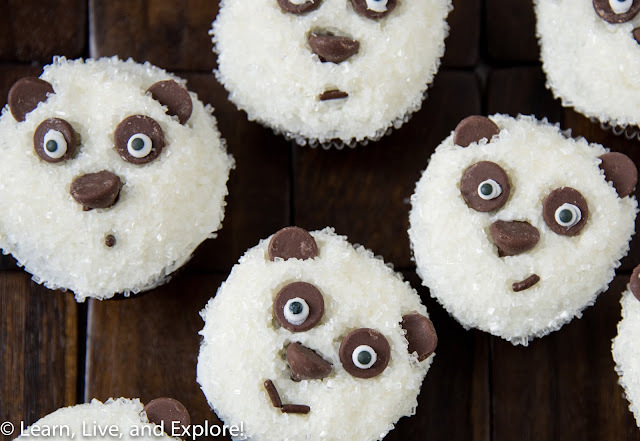 August Cupcake of the Month - Panda Bears ~ Learn, Live, and Explore! 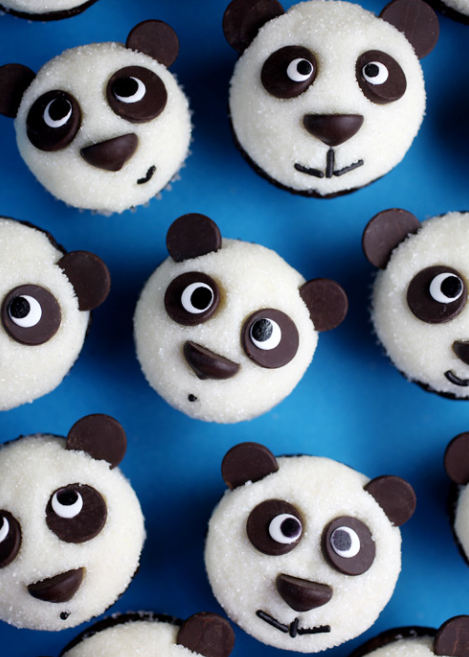 Have you seen the news recently about China's newest gift that has seriously increased the internet cuteness factor: a 24/7 panda cam? The new website - ipanda.com - provides live stream action of the 80 pandas in the Chengdu Research Center in the Sichuan Province of China. 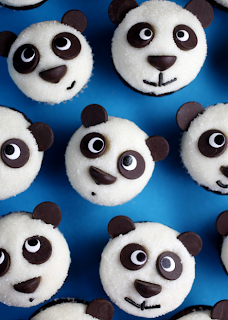 Inspired by that great news and by Washington D.C.'s own Smithsonian National Zoo pandas, I give you my attempt to make Panda cupcakes similar to Bakerella's panda cupcakes. If I had to do them again, I would have bought semisweet chocolate or dark chocolate chips, instead of milk chocolate, for the darker color. Also I would buy extra bags of chips because the ones I got were pretty banged up, as you may be able to see in the photos. 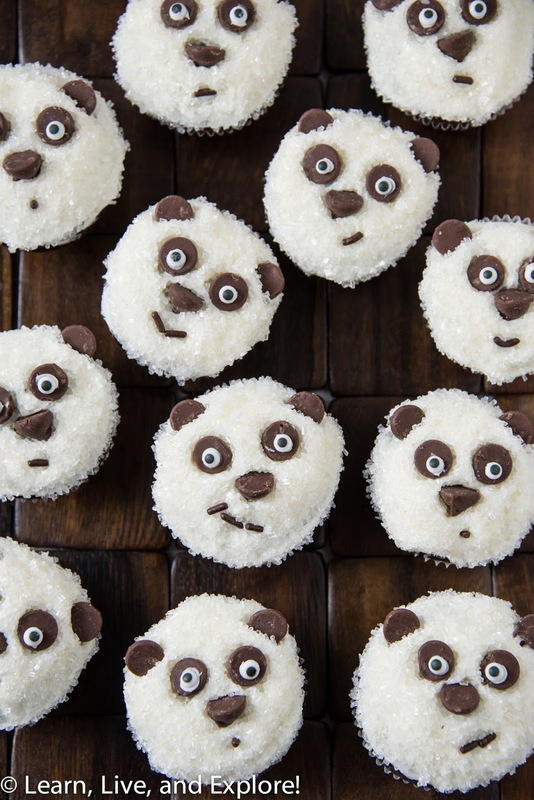 While the Wilton pre-made animal eyes can work, I got mine at a local specialty food store because they were smaller and had better centers. You can also try to do it the way Bakerella did hers.